If you’re willing to drive all the way to Klang for bak kut teh, you can do the same for The Parque Café in Teluk Panglima Garang. Located a little further away from Kota Kemuning in Shah Alam, the roadtrip’s worth it for the pretty glasshouse café based on The Palladium Café in Johor Bahru (which in turn was inspired by the café in this Jay Chou music video). 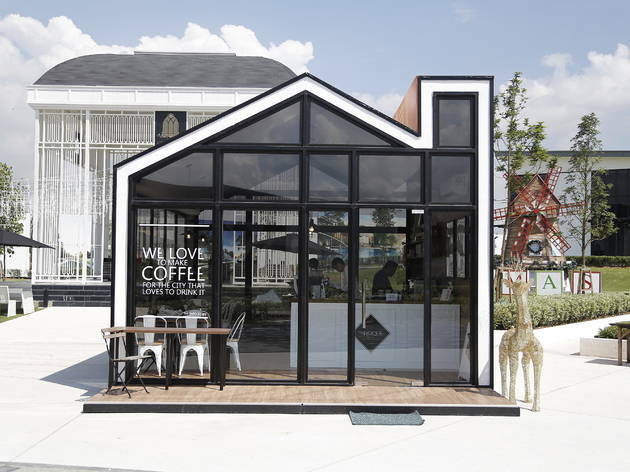 Some background info: The Parque Café is the second outlet by Coffee Concepts Company (that also runs The Palladium Café in Johor Bahru) in collaboration with EcoWorld. 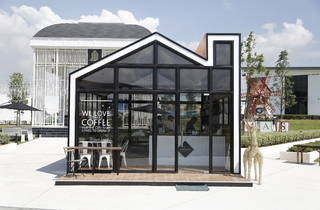 The sunlight-filled café is smaller than it looks: the coffee brewing section and counter occupy half the space, and there are only three tables. Come early to nab the one with the floral upholstered chairs for your Instagram photo-ops, or just make do with using the mini-replica of the café that tops all the tables as a prop. If there aren’t any vacant seats left in the main glasshouse, head to the other glasshouse or park yourself outdoors under the gazebo. Here’s a tip: visit in the morning for good seats inside, the evening for a cool breeze outside, or at night for pretty lights all over the area. For coffee, their house blend combines Indonesian and Brazilian beans, and the café's single origin blends include Ethiopian and Konga beans. If you aren’t caffeine-inclined, pick from tea, dark cocoa, matcha latte, mocha orange, fresh milk or Summer Fizz (soda with fruit extract). The food menu currently has chicken, beef and smoked salmon baguette sandwiches, along with cookies, cheesecake and mango mousse cake. It’s a small selection, but there are plans to introduce spaghetti and pizza in future. If you’re still considering making the trip, you have a few months to decide. The café will only extend their duration according to demand and positive feedback, so there’s no word yet if it’ll be a permanent fixture. Until then, enviously double-tap the many photos of The Parque Café on your Instagram feed.